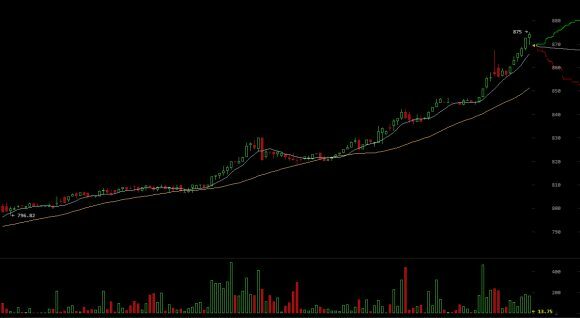 The Bitcoin exchange rate is on the bull run at the moment reaching new high moving past the $850 USD mark and maybe even trying to test $900 USD in the next couple of days. Of course as it usually happens when BTC is on the rise pretty much all other altcoins are going down, so no surprises there either. We are still not as high as the price from a few years ago during the MtGox crisis that has artificially increased the exchange rate of Bitcoin, but still things are looking very positive. At the moment predictions for a price of $1000 USD or more during early 2017 do not seem too pessimistic, even $2000 USD by the end of the next year is not so far fetched anymore.